» The Deuter ACT Lite 65+10 Backpack: Is This the Pack for You? 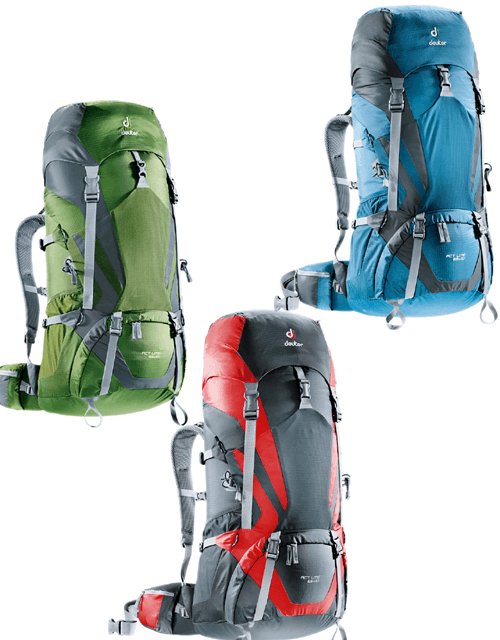 The Deuter ACT Lite 65+10 Backpack: Is This the Pack for You? Deuter has a surprisingly long history, dating back to 1898 when the founder first developed bags. It’s been a long time since then and Deuter is a well-respected producing of outdoor gear of all types. Perhaps it’s because of its beginning in bags but the brand is most known for their selection of backpacks. It’s safe to say you can find a backpack for every occasion through Deuter. Their innovative designs really shine in the ACT Lite 65+10 backpack. At first glance, this backpack looks fairly ordinary, but upon closer inspection, you’ll find it to be quite an impressive piece of gear. The majority of backpackers will enjoy using this backpack but particularly those that are into the tech side of things. Here is a rundown of what you need to know about the ACT Lite 65+10. As you can see, there is a mix of both normal and not so normal features to this bag. Not only does it offer extendable space but is even made with custom Deuter materials. The price tag of $209 (check this listing for the latest live prices) really is a deal considering everything you get in this bag. Just going by the number of positive reviews, it comes as no surprise that the ACT Lite 65+10 has some excellent advantages. Here are two of the most common praises. 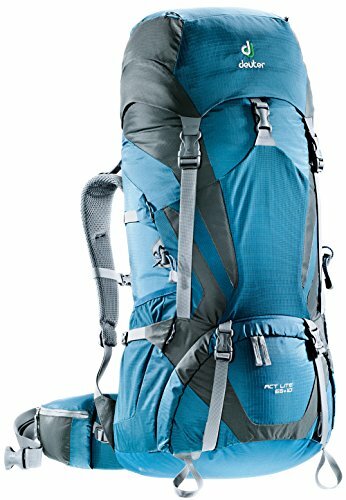 This backpacks is a great choice for those that want to try some ultralight/light backpacking techniques but still want a heavier duty bag that can handle regular backpacking. The ACT Lite 65+10 weighs 4 lbs. 6 oz. which is lighter than typical 65- 75L backpacks but is still heavier than a UL bag would be. You have tons of space for gear and options for organizing said gear. The combination of horizontal and vertical compression straps also mean you can reach cinch down your bag if you are trying to pack lighter, with less gear. Overall this backpack is a versatile size, though on the larger side of the spectrum. You could also use it for carrying gear a short ways during car camping trips or for traveling. There are very few backpacks that offer expandable storage, which sets the ACT Lite 65+10 apart from the competition. 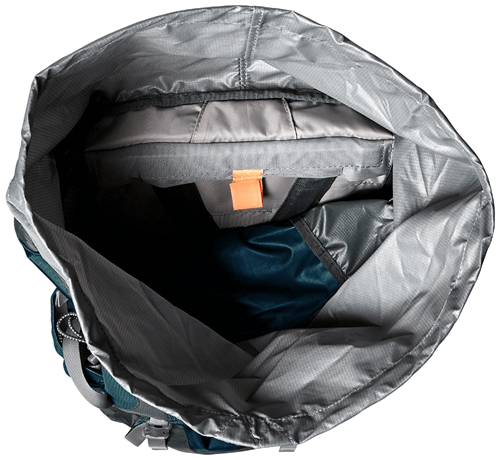 The collar of the backpack can be extended up to get a whole extra 10L or 610 cu. in. of space. It may not seem like a lot but it can easily work for storing an extra layer of clothing you ended up not wearing or a place to keep a pair of campsite slipper shoes for comfort. The additional space is built-in so the only weight added is the gear you put in. You can easily fold the collar out of the way for normal use. Many backpack with experimental or unusual features like this tend to get poor reviews because too much effort goes into the “extras” than the foundation of the bag’s construction. The overall design of the bag is wonderful and the neat features will add to the quality, rather than detract. Unfortunately not all that glitters is gold, and even the ACT Lite 65+10 has it’s downsides. Here are the two main ones customers have found. This first, and most common, issue is the fact that this backpack is unisex, one size fits all situation. 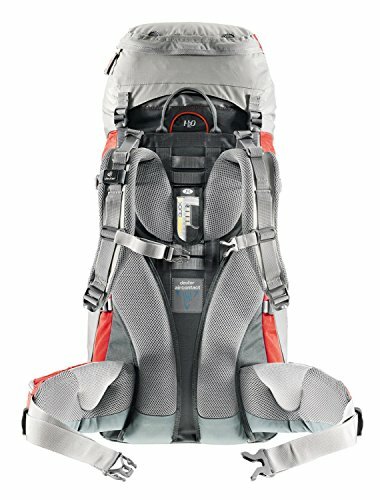 It’s a shame that Deuter didn’t offer a minimum of two sizes, but instead, they relied on their harness and hip belt system to offer enough adjustments which ended up failing. It should be clarified that most don’t have a problem with an adjustment but there are still enough that are left unhappy that it has to be taken into consideration. This backpack offers a fit for torsos 15″ to 21″ but fails to mention how much the hip belt extends. Those that are larger on the bottom may come to the conclusion that the hip belt is actually too compact and doesn’t offer their body shape enough stability with a maxed out bag. Petite men and women, including youth, may also find that this backpack fits but it lacks that certain “sweet spot” of a perfect fit. 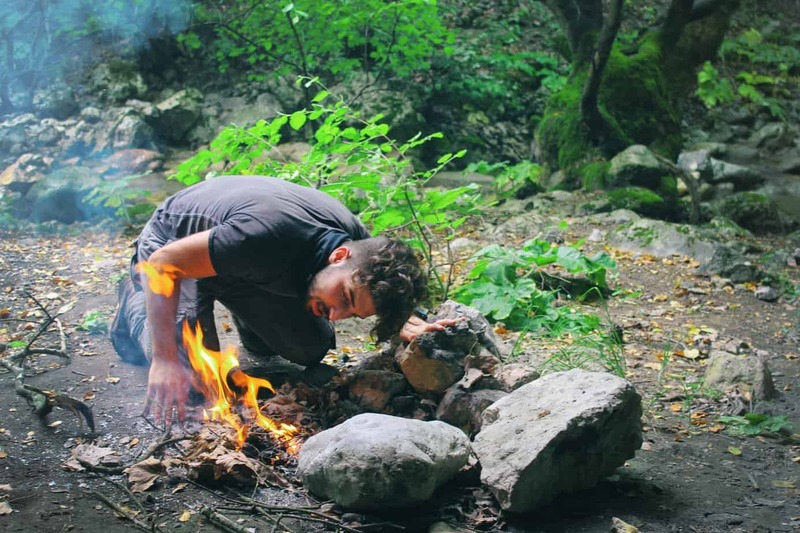 This is not only annoying but leads to faster fatigue while hiking – one issue you will want to avoid at all costs. Another downside that is a bit frustrating is the combination of the size of the bag and the fact that it only has one access point. For a 65L bag, there really should be at least two points of access, preferably on the top and the front. The reason is with a bag of this capacity filled, there is no way to access gear on the bottom without having to take everything out. If you are a meticulous packer and everything has it’s own space, this can be extremely annoying since you’ll have to put everything in its exact place to get it all back in. This problem means you’ll have to plan ahead when packing. Ensure you place important gear like snacks, bandana, hats or a raincoat on the very top so you can easily grab it. Kitchen or cooking items can go under that with clothes and campsite gear at the bottom. The two disadvantages of the ACT Lite 65+10 are annoying but only grounds for avoidance in particular circumstances. If you enjoy everything the bag has to offer it is still worth trying this model out for yourself. As mentioned before, try to purchase from a retailer that accepts returns if you have any doubts. Chances are you will really enjoy your experience with this backpack, just as many others have.